Israel-born conductor Orr Guy beneﬁts from some of Europe’s ﬁnest conducting training. In 2014, after completing his Bachelor’s degree in Israel at the Buchmann Mehta School of Music, he was taught by Howard Williams at the Bartok festival in Hungary and conducted the Savaria Symphony Orchestra. In 2016, he took masterclasses under renowned conducting teacher Nicolás Pasquet in Weimar and was chosen to conduct Leipzig Radio Orchestra. In 2017, he was the ﬁrst Israeli to be accepted as an active participant at the Järvi academy where he was coached daily by the famous Maestri Paavo and Neeme Järvi. He then completed his Masters degree in conducting at the Royal Northern College of Music (RNCM), where he enjoyed numerous masterclasses with Sir Mark Elder. During his studies in Manchester, he regularly assisted chief conductor Vasili Petrenko at the Royal Liverpool Philharmonic Orchestra and Juanjo Mena at the BBC Philharmonic Orchestra. 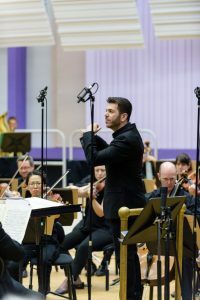 For his graduation concert, he conducted the BBC Philharmonic and was invited to work with the orchestra again in September 2018 at RNCM, conducting a Masterclass. Orr made his Bridgewater Hall debut in June 2018 where he stepped in to conduct RNCM Symphony Orchestra after distinguished conductor Yan Pascal Tortelier cancelled with less than a week’s notice. Orr won ﬁrst prize at the Buchmann Mehta School of Music’s chamber music competition for his performance of Igor Stravinsky’s Histoire Du Soldat suite, was twice awarded a conducting scholarship by the America Israel Cultural Foundation, and won RNCM’s Mortimer Furber Prize in conducting. He has conducted a range of orchestras including the Israel Chamber Orchestra, Meitar ensemble, Ra’anana Symphonette and many amateur orchestras around Manchester. He has also conducted at the Wigmore Hall in London, Neue Weimarhalle in Germany and Pärnu Concert Hall in Estonia. Keith, a Lancastrian, is the director of the William Byrd Singers of Manchester, and the Liverpool Welsh Choral. 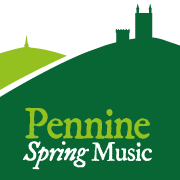 He was chorus master of the Hallé Choir in Manchester for seven years , and has acted as a guest Chorus Master for other symphony choruses in the UK, including the BBC Symphony Chorus. He directed the Beaumaris Singers until 2004, a chamber choir which he founded in the 1980’s, and more recently he worked as Director of Music at Liverpool’s Metropolitan Cathedral. He has also led children’s choirs, youth choirs, and larger mixed adult choirs including the Birmingham Singers, Stone Choral Society and the Staffordshire Youth Choir. He continues to lead choral workshops and courses, including conducting courses for the Association of British Choral Directors. 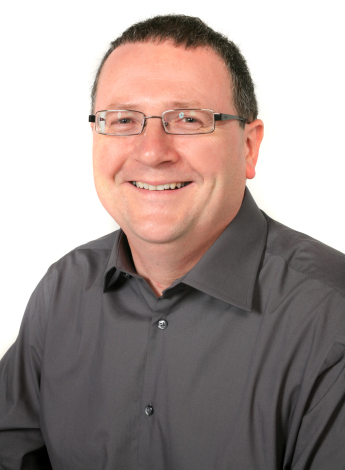 In January 2006 Keith was appointed Vocal Projects Leader for Wigan Borough, a post which involves the development of singing in all schools in the region. In this capacity he also directs Wigan Youth Choir and Wigan Junior Youth Choir. He is also Director of Wigan Youth Orchestra, and the Director of Music at the Church of St. Agnes and St. Pancras in south Liverpool.